DURHAM, N.C.–(BUSINESS WIRE)–Tryton Medical, Inc., the leading developer of stents designed to treat coronary bifurcation lesions, today announced that results from the Tryton Confirmatory Study of the company’s Side Branch Stent have been published in JACC Cardiovascular Interventions. The study, designed to confirm the safety and efficacy of the Tryton Side Branch Stent for the treatment of coronary bifurcation lesions involving large side branches (appropriate for a ≥2.5mm stent), compared 133 patients treated with the Tryton stent to a performance goal based on performance of the control arm from the Tryton Randomized Controlled Trial (RCT). The study met its pre-specified primary endpoint, periprocedural myocardial infarction, which was within its non-inferiority margin (Primary Endpoint: 10.5% + 95% C.I. vs. 17.9%, p=0.01). “In light of the higher procedural success rate, improved acute angiographic results, and higher rate of side branch patency at 9-months compared to provisional stenting, the Tryton Confirmatory Study and the Tryton RCT support the use of the dedicated bifurcation Tryton stent,” said principal investigator Dr. Martin B. Leon, director of the Center for Interventional Vascular Therapy at Columbia University Medical Center, New York-Presbyterian Hospital. Results from the Tryton RCT and the Tryton Confirmatory Study have been submitted to the U.S. Food and Drug Administration to support the Premarket Approval (PMA) application for the Tryton Side Branch Stent. Tryton Side Branch Stent System is built using proprietary Tri-ZONE® technology to offer a dedicated strategy for treating bifurcation lesions. Tryton’s cobalt chromium stent is deployed in the side branch artery using a standard single wire balloon-expandable stent delivery system. A conventional drug eluting stent is then placed in the main vessel. Tryton Side Branch Stent has now been used to treat more than 12,000 patients worldwide. The Tryton Side Branch Stent is commercially available in multiple countries within Europe, Middle East & Africa, is investigational in the US, and is not available in Japan. 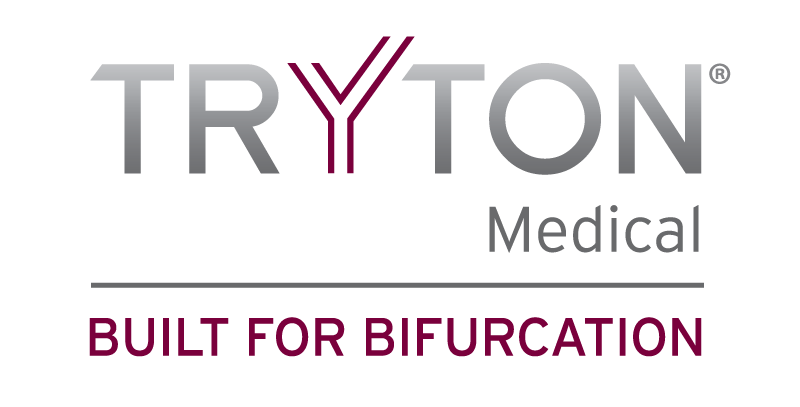 Tryton Medical, Inc., located in Durham, N.C., is the leading developer of novel stent systems for the treatment of bifurcation lesions. The company was founded in 2003 by Aaron V. Kaplan, M.D., professor of medicine at the Geisel School of Medicine/Dartmouth-Hitchcock Medical Center, to develop stents for the definitive treatment of bifurcation lesions. For more information please visit trytonmedical.com and follow the company on Twitter at @TrytonMedical1.